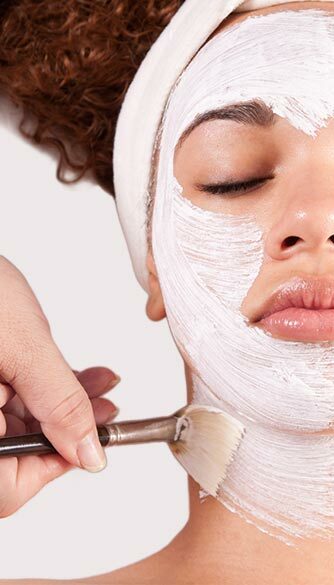 Chemical peels are scientifically proven to improve skin colour and texture. Different kind of chemical peel treatments is available to address various problems of the skin. Mild acid in measured concentration is applied to the face for a few minutes and washed off. A Yellow Peel is an anti-ageing peel. With age fine wrinkles and pigmentation appears on the skin. The yellow peel contains retinol (Vitamin A) which smoothens wrinkles and evens the skin tone. It can also be used for acne pigmentation and sun spots. A yellow peel can be done more than once to get the desired result. Maintenance of the results can be done with post treatment cream regimen. It is a safe and painless procedure. Cosmelan Peel is a procedure for treating various kinds of pigmentations of the face, neck and hands.Cosmelan Peel helps in enhancing skin radiance and fairness. Cosmelan pack contains a peel and a post peel cream. Peel is done in the first step which takes less than 10 minutes to perform. The peel is left on the face for the next 8 hours and can be removed at home by washing the face with regular water. The peeling of skin starts after 48 hours and continues for a week or more. During this healing process, hydra vital factor K cream is advised. The pack comes with Cosmelan Cream which needs to be used for a month. The result is fairer, smoother and glowing skin. The peel can be repeated if necessary. Maintenance after treatment requires sun protection like in any skin care regimen. Lightening spotty pigmentation due to acne or ageing. Removing outer dead layer of skin and revealing fresh and glowing skin. How much time is required for the peel? Peels take about 10 minutes to perform. Usual steps are cleansing with an effective cleanser, application of chemical peel solution for a few minutes, neutralisation and pack in certain peels. It is painless, and you can go to your routine activity soon after the peel. Usually, 4 to 8 sessions are recommended at two weeks interval. You will notice the difference after each peel. Chemicals that are used in superficial chemical peels are made from fruit acids (alpha and beta hydroxyl acids). For example, Glycolic acid comes from sugar cane, lactic acid from curd and citric acid from the lemon. They are medically tested and approved to be safe. What parts of the body can be treated with chemical peel treatments? Usually, face, neck, arms and legs- but virtually any part can be treated. Wearing a sunscreen with SPF 20 and above and avoiding direct sun exposure is recommended. This is important to avoid sunburn and to maintain results for longer. Do not have a peel done within a week of any important event or party.